In which G.M. Norton explores the romantic rules of two hundred years ago with a little help from a literary great. I currently have my pomade-covered head submerged in a Jane Austen novel. Pride and Prejudice to be precise. 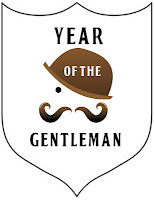 It was first published in January 1813, making it an incredible two hundred years old. I must confess to knowing very little about the story until recently – my only vague recollection being the iconic scene in the BBC dramatisation where Darcy, played by Colin Firth, emerges dripping wet from a lake. Upon spying the novel on the charity shop bookshelf, something urged me to pick it up and part with 99 pence. I’m awfully glad I did. If you’re unfamiliar with Pride and Prejudice, the story follows heroine Elizabeth Bennet who is tasked, along with her four sisters, with securing a suitable husband. 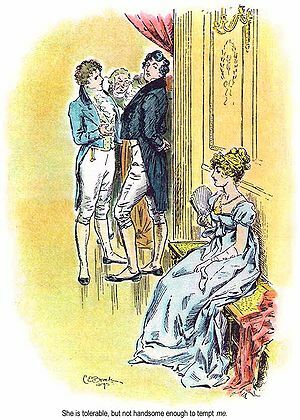 In the novel, Austen paints a vivid picture of young ladies and gentlemen as they obey the strict protocols and rules for love and courtship. 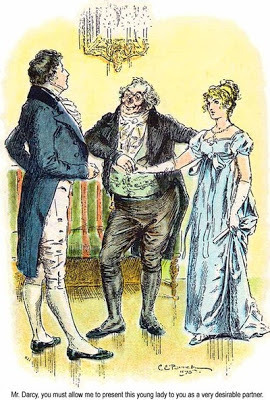 As Valentine’s Day is almost upon us, I thought it would be jolly interesting to highlight the complexities of courtship that ladies and gentlemen had to contend with back in Jane Austen’s time. Courtship usually began for a young lady when she turned sixteen and her family deemed her ready to ‘come out’. Young ladies would have a female chaperone, usually their mother, who would accompany them to balls and dances, keeping a watchful eye over them at all times. As young men and women were never left alone, getting to know each other would undoubtedly have felt quite stilted and awkward. Dancing was extremely popular as it gave couples a brief opportunity to converse in relative privacy. However, the number of dances one could enjoy with the same partner was strictly limited. Apart from attending social gatherings such as balls and dances, home visits were permitted when a lady and gentleman liked each other. Although naturally, adults were constantly present. Couples could go for walks together providing they were chaperoned but even something as simple as writing to each other was expressly forbidden, unless they were engaged to be married. Getting engaged wasn’t a thing to do lightly – once the young man had proposed and gained her father’s approval, it was considered unthinkable for the man to change his mind. However, the young lady was permitted to break the engagement, as Jane Austen did herself, although this was still frowned upon. Whilst I am known to cast a critical eye on the declining standards of modern society, I feel this is one example where times have changed for the better. How would you cope with constraints like these today? 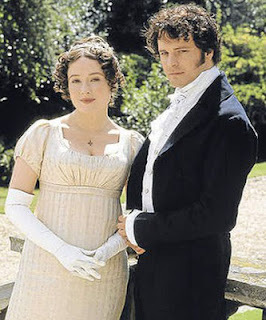 Having enjoyed a week's holiday *huzzah* I watched the entire 6+ hours of the BBC adaptation while furiously knitting. I loved the set-up on screen, but it would be a nightmare to have to actually live it. Excellent book, excellent TV (and film) adaptation, but I think the whole chaperone malarkey should stay where it belongs - back in the 19th century! As you say, dear lady, it provides super entertainment but it would have been absolutely hellish to have experienced it first hand. I do hope you enjoyed your time away from the newsroom. It certainly sounds like it! All in all I had a marvellous week... how did you get on at Stockport? I had a fabulous time! There were so many visual delights and both the stallholders and fair goers were a friendly bunch. My favourite finds will be on the Vintage Village website shortly.